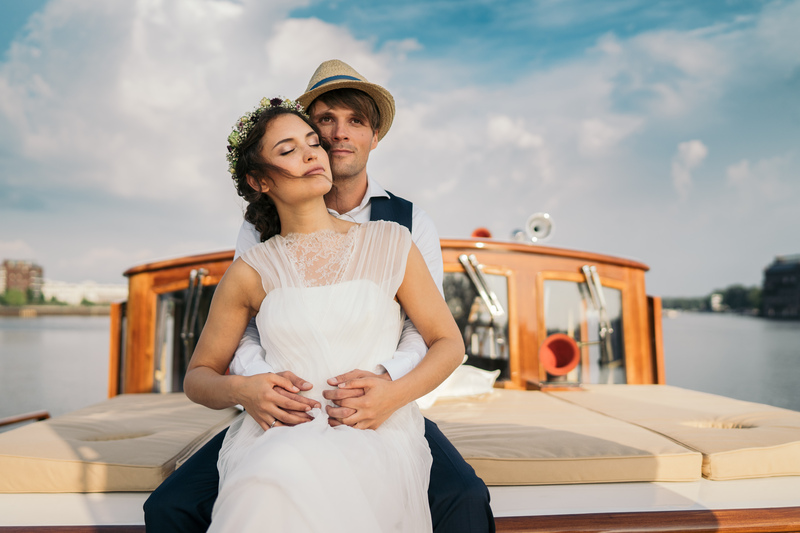 Celebrate the most beautiful day in life on the most beautiful ships in Berlin! The MOTORYACHT FITZGERALD offers the perfect ambience for your party: luxurious, stylish and elegant. Here you can spend a wonderful and unforgettable day with your family and friends. With us you can celebrate with up to 35 people. And we care lovingly for the details such as festive flower arrangements, a catering suited to your wishes or the wedding cake. We are happy to welcome you with "your song" and a glass of champagne on board while your photographer captures these moments for eternity. In case you are planning an open wedding ceremony, the FITZGERALD can even be your wedding ship. On the sundeck or in the salon, you can elegantly give the yes-word and then celebrate extensively and luxuriously with your guests. You would rather celebrate your wedding as a romantic couple? Then enjoy the start into your life together with a ride on the BELLINI LIMOUSINE. Toast to your love of happiness with a glass of champagne while you are driving through Berlin in a very private and noble way. 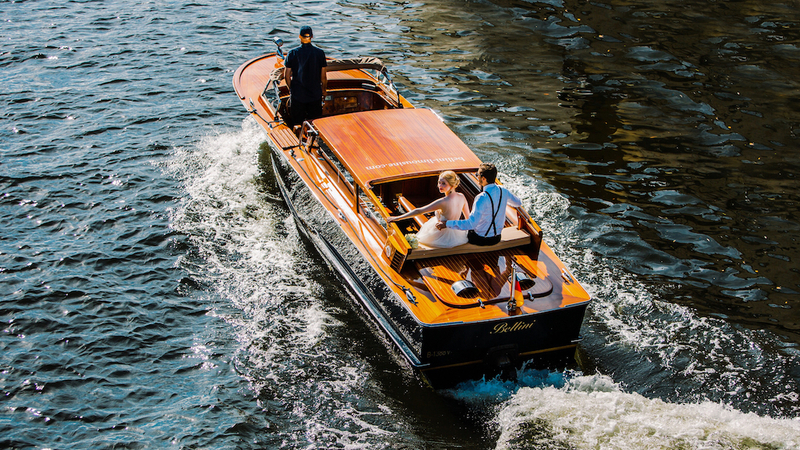 And if you want to bring your witnesses and a photographer - our Venetian water taxi can accommodate up to 10 people. The BELLINI is also suitable as a bridal transfer of a special kind - we drive you to your wedding or your wedding location. You can not drive more elegantly into the port of marriage.